Well, this is surprising. To no one. Disney is taking advantage of the December launch of Rogue One: A Star Wars Story to cross-promote a new Star Wars: The Force Awakens release. This time it’s Blu-ray 3D. 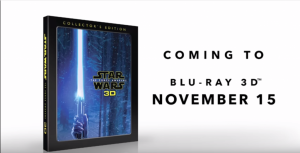 Releasing on November 15, 2016, which is about a month before Rogue One heads to cinemas, it includes not just the 3D Blu-ray, but the film in 2D as well, on Blu-ray. Also included are the DVD and Digital editions. It’s hard to imagine someone that hasn’t bought the movie yet, but I’m sure there are folks that are waiting for the eventual sequel trilogy box set, or the Skywalker Family edition that could eventually see release. Still missing from the features list are the excellent trailers and the Star Wars Celebration Reel that really kicked off the excitement for the film in a way that I’ll never forget. 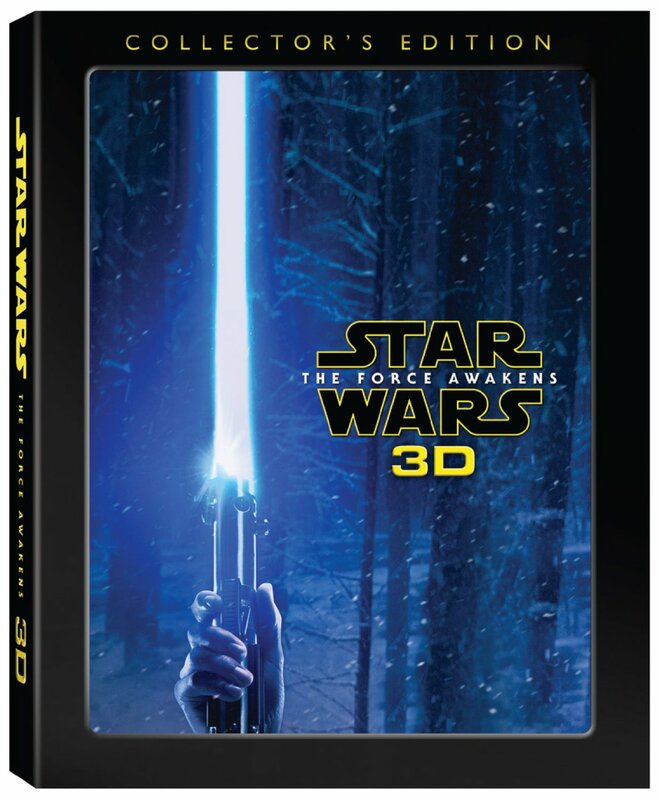 For the first time—and just in time for the holidays—viewers can bring home Lucasfilm’s “Star Wars: The Force Awakens” in 3D, encased in stunning, collectible packaging. The exclusive four-disc 3D Collector’s Edition contains the original theatrical release on Blu-ray 3D™, Blu-ray™, Digital HD and DVD, along with originally released bonus features and brand-new bonus material, including additional deleted scenes, behind-the-scenes conversations with cast and crew and revealing, never-before released audio commentary by director J.J. Abrams.